We've been Scouted! Shop the "Best of Local"
Have you heard of The Scout Guide? If you live in the Tampa Bay area, you may have received your very own copy of The Scout Guide in the mail or have seen one at a friend's home or place of business. The Scout Guide (TSG) is a network of city guides that highlight the best of local in a specific city or metro area, and Tampa Bay has officially been scouted! The Scout Guide beautifully highlights the flavor, passion and character of independent businesses, local trade, and talented visionaries that make our city distinct. They scout everything from retail boutiques to wedding planners to architects. Do you want know where you can go within your neighborhood or while you are visiting the area that will help support the local community? Just check out The Scout Guide Tampa Bay, they've done all the searching for you! We are thrilled that The Scout Guide is here and honored that we have been "Scouted" as one of the best local businesses in Tampa! While The Scout Guide Tampa Bay is not specific to the bridal or wedding industry, it is a great resource for the bride as it does feature other potential wedding vendors. Along with our South Tampa bridal boutique, there are also wedding planners, photographers and venues that have been hailed as the best of the best! 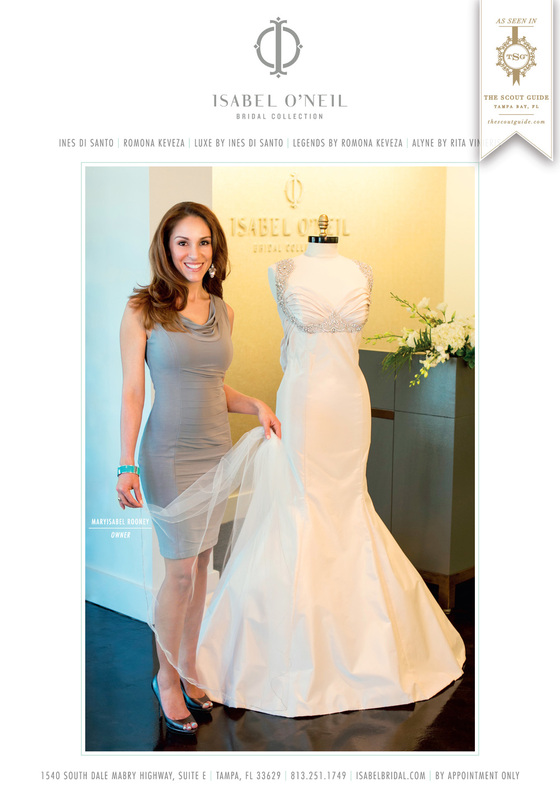 If you don't have a copy yet, please stop by and pick up your free copy while browsing our beautiful wedding dresses and accessories. It is a truly beautiful annual publication that will be a great addition to your coffee table! You can also view it online or follow The Scout Guide Tampa Bay blog for the latest and greatest from the "Best of Local". Have fun discovering Tampa Bay with us!